October 25, 2018 (updated 2/25/19)- SRP customers in central Arizona are participating in one of the largest energy storage studies, helping NREL and Salt River Project (SRP) identify the value that battery energy systems will have for customers and utilities. 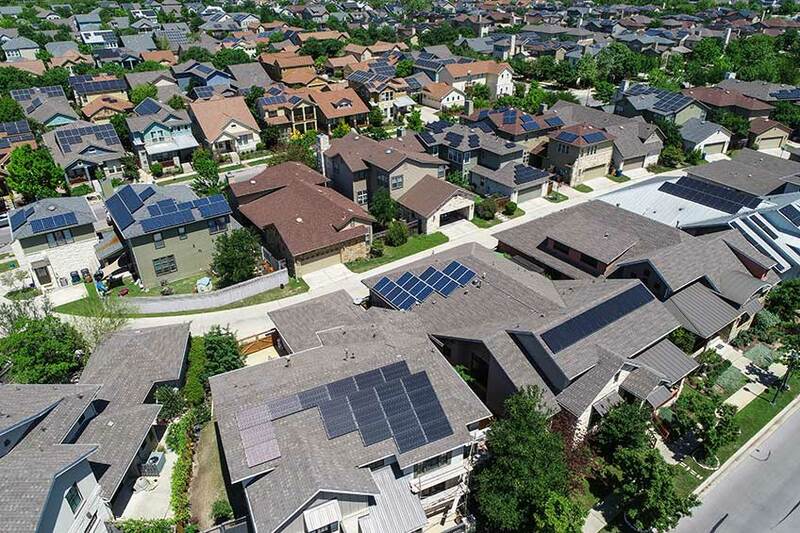 With home battery energy systems (BES) gathering market momentum, residents and utilities worldwide are weighing the benefits of storage. To advance understanding of this emerging technology, one utility in central Arizona is collaborating with the National Renewable Energy Laboratory (NREL) to launch one of the largest BES studies to date for up to 4,500 of its customers. Salt River Project (SRP), a major utility in one of the sunniest locations in the United States, is providing qualified customers financial incentives to purchase a residential battery system. Customers can be selected to participate in a research study, which provides a large-scale analysis of the benefits and impacts of BES technologies. NREL will assist the utility throughout the 3-year program by evaluating battery technologies and interpreting data about customer battery use. The initial phase of the project will use research capabilities only found at NREL, including the Energy Systems Integration Facility’s high-performance computing to manage the millisecond-to-minute resolution data, and advanced battery testing in the Thermal Test FacilityPDF. Subsequent phases might use data from customer battery use and BES performance, allowing NREL researchers to develop modeling and simulation tools to assess the customer benefits and distribution network impacts of BES. With energy storage technologies gaining importance, this study is a landmark effort to understand the value that BES technologies will have to both customers and utilities. The breadth and resolution of data, combined with the modeling and scenario analysis performed by NREL, will constitute a critical look at the foreseeable impacts of the storage industry.